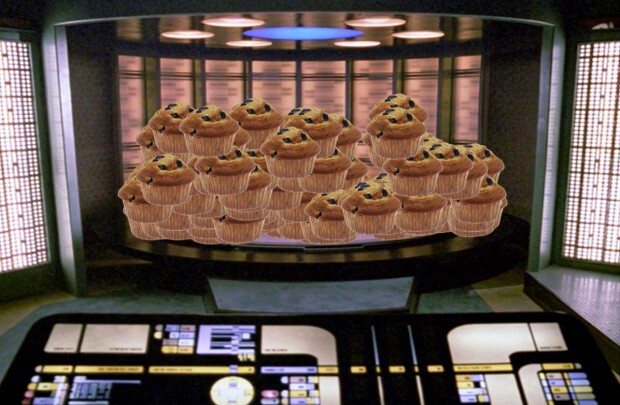 Could a Mountain of Muffins Bring Back Worf? What do a million muffins have to of with the Star Trek TV franchise? Up until very recently, absolutely nothing. 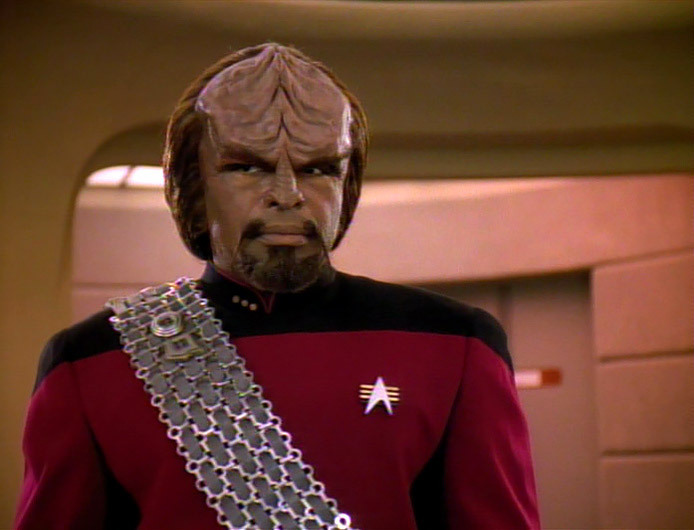 But in one of the strangest viral campaigns I have ever heard of, Michael Dorn, who starred as the Klingon/Starfleet officer Worf in The Next Generation and then Deep Space Nine from 1987-99, wants to send franchise owner CBS one million mini-muffins to force them to begin production on his new show, Star Trek The Next Generation: The Worf Chronicles. Why mini-muffins? In an interview posted on the site where you can order the treats to send to CBS, his only rationale is that, “I am motivated by mini muffins.” OK.
Well, if you want to get involved in this worthy venture, it only costs $5 to send four mini muffins to CBS. And, just so you don’t get all freaked out about wasting all this tasty food, the site explains, “ALL unopened boxes of mini-muffins will be donated to local food banks to help feed those in need.” My only worry – what if the folks at CBS love the muffins, eat them all and then don’t produce the show?